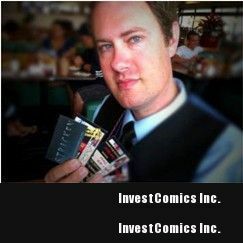 While he may not be a comic creator, indie filmmaker Matthew Sconce is the epitome of an “Indie Creator”. Besides, I have a soft spot for horror, and this guy delivers with the sharp edge of a butcher’s blade. With a nifty film concept, dogged determination, and a Robert Rodriguez-esque “jack of all trades” skill Matt created an impressive, thrilling indie horror noir film that not only has won buckets of awards at film festivals but has also recently been picked up for distribution on “Video on Demand” by Warner Brothers/Gravitas. After her mother’s death and her father’s brutal suicide, 25 year old Sarah Black fears she is losing her grip on reality. She is haunted by nightmares and terrifying visions, and she can’t shake the feeling that something evil is about to find her. When people she cares about start to die, Sarah believes she may be next. Detective Scott Aro has been investigating a string of murders for 10 years, but nothing he has seen can prepare him for what lies ahead. As hope seems lost, the two must face the evil that has been unleashed, and battle to stay alive as they discover that some things won’t stay dead. It waits in the dark. A multi-award winning Director/Writer/Filmmaker, Matt has produced 7 shorts (including the short film version of Stricken) and is currently producing the feature film Gold Fools, and is slated to be the director of photography on the feature film Sunny and Ray Ray. He has also filmed trailer footage for the Warner Brothers feature film Red Riding Hood, and has written three Feature screenplays, two slated for Production in 2011. His feature, Magic, is in pre-production, co-producing with Industrial Light & Magic’s Kerner Studios. 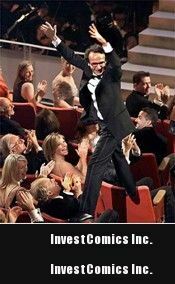 He was recently nominated for an EMMY for his editing. 1. Your trailer begins with “With guys, a borrowed camera, no money and a dream … made the movie Stricken”. Who were the other two guys, who did you borrow the camera from and how much did the movie end up costing to reach distribution? (MATT:) The other two guys were Assistant Director, Troy Ruff, and my Father and Executive Producer, Gary Sconce. Sometimes we would have one of us pushing the dolly and holding the boom mic, while the other held a lighting fixture and I ran the camera and directed. It got pretty crazy but we knew we had to do our best so the finished product would be able to be distributed. Our motto was “Never Settle”. I borrowed the camera from the Assistant director and we paid expenses from our pockets as the need arose. We are by NO MEANS wealthy and $50,000 later we had sacrificed quite a bit but had a movie ready to pursue distribution. 2. You took a very smart road in making and distributing this film. You created the short film first (2007) and then did the feature in 2010. Did you know from the outset that “Stricken” would be a feature? (MATT:) After the short film had received acclaim, I decided to write the feature script and, in 2008, it won Best Adapted Screenplay at the Action On Film Festival. From there, it was a long and frustrating road until we just decided to make the feature ourselves, instead of waiting for funding in a down economy. When I made the short, I never thought I would make a feature from it. That came later. 3. What did you learn from making the short that you later applied to filming the feature? (MATT:) I learned that my visual style would lend itself well to feature films. I learned that I needed a more powerful camera and some organizational and editing workflow lessons. I also learned that I wanted to delve deeper and become a better director. I highly value the instruction of Judith Weston and, after reading her book Directing Actors I felt ready to conquer the world. I also made some great connections that helped me when I made the feature film. 4. What was your biggest obstacle – finding the funding or getting distribution? Tell us how you approached each, and why you were so successful. (MATT:) We had the hardest time with Distribution. In this down market, Distributors were looking for slam dunks and wanted films with Cameron Diaz or other megastars in them. Our movie with name actor David Fine (shown below) in it, and our chilling and deep story, was a risk to them, so they passed us by. I ended up getting Producer’s Reps, “Filmmarketingservices” to represent Stricken. They heard about Stricken when it went to the Action On Film Festival and eventually won “Best Horror” feature. They contacted me and, after watching the film, they wanted to represent it. Four months later, they had landed me the deal with Warner Bros/Gravitas for Video on Demand. They are currently shopping the DVD rights and all other rights. 5. You’ve done well at festivals and caught the attention of big-time distributors (Warner Brothers/Gravitas). What is it about your film that connects so well with audiences? (MATT:) Stricken tells the story of a young woman going through hard times in life and a detective struggling with addiction. They both want to matter and to feel loved and I think people can relate to that. I also feel people enjoy the slow building, thinker thriller that leads to a huge ending. It is a throwback to a more Afred Hitchcock-style film and deviates away from common slasher movies. It is ambitious and leaves the audience wanting to stand up and cheer. That is our Company motto at Aftershock Studios: Telling stories that make you want to stand up and cheer. 6. Tell us a bit about the two stars for your film – David Fine and Stephanie French. Stephanie was in the short, but David’s character wasn’t created until the feature. How do these two characters intertwine and what is their back story? (MATT:) Stephanie French’s character “Sarah Black” has lost her parents to suicide and is trying to maintain as her life seems to be headed toward a similar precipice. She feels haunted by a darkness and sees disturbing visions which eventually become more than that when an elderly woman dies in the retirement home where she works. The subsequent investigation connects her to the character “Detective Scott Aro” played by David Fine. He is a struggling alcoholic who used to be in love with Sarah’s mother “Olivia Black”. She married someone else but Scott always loved her. For 10 years Scott has believed a serial killer is on the loose. He believes a supernatural culprit is to blame and because of this he has been suspended from the case. After the death of the woman in the retirement home, Detective Aro belives Sarah may be the next victim. Their paths come crashing together as they must fight the darkness before it gets them both. 7. As already noted, both the film and your actors have picked up some impressive accolades recently at film festivals. You cleaned house with an armful of awards at the Action on Film Festivals in LA and Pasadena, plus the Best Director, Best Feature Film, and Best Art Direction at the City of Death International Film Festival in Texas. Are you surprised with your success? (MATT:) I believe in myself and my dreams and pursue them with all my strength. I surround myself with people who feel the same and will give 110% of themselves to the project so I EXPECT success. 8. How did you pick which festivals to submit to, and how did this ultimately affect your ability to pick up a distribution deal from Warner Brothers/Gravitas? (MATT:) I NEVER miss Action on Film Festival in Pasadena. It is THE best film festival in terms of size, contacts and a supportive staff that I have ever been to. Since Stricken was born there, I decided to submit the feature there as well. Because of this, the Producer’s Reps heard about us and because of that we got our distribution deal. So Action on Film was instrumental in our distribution of Stricken. 9. You were both director and writer on “Stricken”. In low budget indies, the script is God. Can you tell us about the process – how hard was it to adapt the script from short form to feature, who gave you notes, and how many drafts did it take to get to the final shooting script? (MATT:) When I started writing the feature script, I knew that I wanted to move away from the psycho-slasher feel of the short. I wanted to introduce the supernatural and some mystery and because of that, gravitated to Celtic Mythology. I wrote “Free Form” – in essence, writing without an outline, or even a list of what would happen. I watched the movie happen in my mind and wrote what I would want to see, as it wrapped up into a twist ending and exciting conclusion. Sometimes I write with outlines and other times I write free form. The script rough draft was done in two months and the revisions took about 1-2 months. I believe the final draft was draft 7. 10. What type of camera did you use to film Stricken? And how did you handle the visual effects on a shoestring budget? (MATT:) We shot on a Panasonic HVX-200 camera with a Brevis 35mm adapter that allowed us to use 35mm still camera lenses on the video camera for shallow Depth of Field. The camera costs about $5,500 dollars and, with the attachments, comes out to about $9,000 dollars. We had planned on having help with the visual effects from someone who works for Industrial Light and Magic so we shot incredibly ambitious vfx shots. When the movie was finished, the person who was going to help us was too busy with the post production work on Avatar and so we were left on our own. I had to learn how to do all the vfx and then accomplish the compositing myself. I used my time and computer system built for the task, and delved into Adobe After Effects, scouring the Internet for tutorials, and working 16-18 hour days for 10 months. In that time, I lost my job due to downsizing and was struggling financially with a family and a little baby girl. The days were long, but I pressed on, finally finishing the film. 11. You are currently producing the feature film “Gold Fools”. I couldn’t find any information in IMDB. What can you tell us about it, and why are you wearing a Producer hat on this film in lieu of directing or writing? (MATT:) Gold Fools is a feature film that was pitched to me by local filmmaker Travis Cluff (Star of the TV show WipeOut “Super Shorts”). He had written it and wanted to direct, and it was his first feature film. I enjoyed his script and knew that with my equipment and knowledge, his movie could get made so I came on board to produce. It is currently in post-production and is turning out wonderfully. 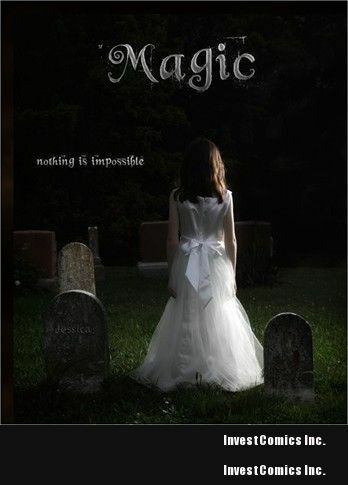 I am also deeply involved (writing, directing, and producing) my feature film, Magic, which is currently in pre-production and has approached stars such as Ed Harris and Kim Coates and is being co-produced by Kerner Studios (Kerner Optical of Industrial Light & Magic, which is a division Lucasfilm Ltd.). Because of this, I have time to produce as I can still give time to the big features that come next for my company and I. A detective (John Michael) loses his daughter in a tragic bus accident. Two years later, an orphan girl of the same age appears claiming to possess supernatural powers. As the world rallies to her call to believe nothing is impossible, John must discover the truth about her, his daughter, and the power of belief itself. I’m very excited about this project. Magic is a 3D film that will have megastars in it and be shot in 3D for widescale theatrical release. You can find out more about the film here. 12. You bio says that you have written 3 screenplays and 2 are slated for production in 2011. That’s a pretty good percentage. Most of us go “oh-for-ten”. What “magic” (pun intended) formula have you found in creating marketable, distributable films? (MATT:) Number one thing: Have a story that inspires you when you imagine it and has an ending that will make people stand up and cheer. When you believe in your project, it is very contagious. It will make others be excited as well. I also create posters, websites, teasers, facebook fan pages, etc for my projects as well as pitch them to people at film festivals, building networks that help my stories see the light of day. 13. With your film being picked up for distribution, you are definitely in PR mode right now. What is the process like – for you and your key cast members? Are you exhausted yet? (MATT:) I am tethered to my iPhone 4 constantly, sending emails, organizing television appearances, newspaper interviews, radio shows, Facebook events and reminders etc. I am a walking PR machine. I am definitely exhausted, but the excitement of my feature finding distribution and making money is still going strong in my veins. David Fine has been helping me market the film and has been an invaluable asset to the process. 14. Here’s a question you’ve probably been asked a thousand times … so I’ll make it 1001: What’s the best advice you’d give to someone who wanted to make an indie film? (MATT:) Make sure you have a story that MUST be told and blows people away, then build a team around you of extremely talented and hardworking people with high-end equipment and resources that will allow you to accomplish the motto of “Never Settling”. Remember that if you make a great film with a section that is embarrassing or just poor, the entire thing has been for nothing and will most likely be an unsuccessful blip on your life. Succeed by preparing well, executing completely and to the best of your ability, not cutting corners with visuals or sound, and building a vast network of connections that have a vast network of connections and believe in you. Know that you will be working long days and may spend 1-2 years on the making of the project and another 1-2 years marketing and selling it. If you have those resources and are ready to commit the time, and have a great story to tell, GO FOR IT and don’t let anyone stop you. People told us we were crazy, and told us we would fail but we did not. You can succeed. Look at us. 15. 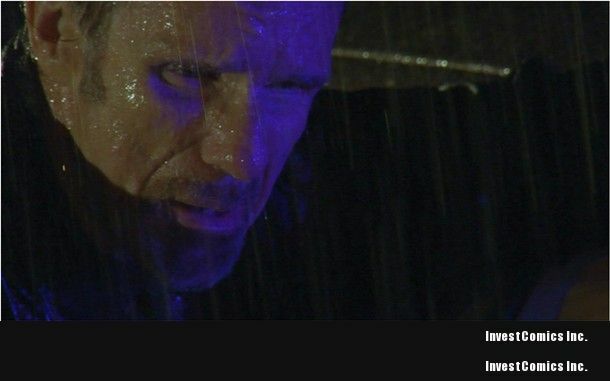 I always thought “The day I make a film the world will end.” Now that I’m working on an indie film, I realize that if I do make it that it will be done in 2012 (the end of the Mayan calendar). Do you have any superstitions about filmmaking? (MATT:) I am not superstitious about the filmmaking process but I believe their are some certainties. A filmmaker should make his major mistakes when he makes 5-10 short films before he attempts his first feature. I would MUCH rather mess up on a 5-minute film than do irreparable damage to a money making feature. Also, If you cut corners or say “That was good enough…” then your movie will fail and you will waste your time. If you plan well, pay attention to detail and NEVER SETTLE, you will create something marketable that will do well for you. The never settling also comes into play pursuing distribution. Pound the pavement, make connections at festivals and online. You will hear a ton of “No” but you will someday hear the YES, and you only need one. 16. If you ever win an Oscar, which would be your biggest fear – making the speech or forgetting to thank someone in it? 17. Tell us where we can watch Stricken and follow any other of your ventures. See more about Stricken here. Thanks Matt! I admire someone who sets course on their dream and sees it through fruition. 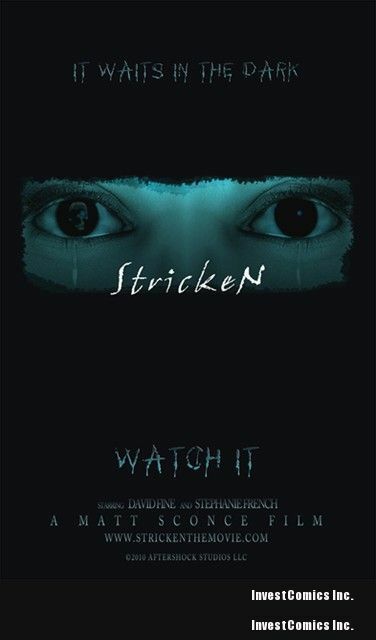 We wish you luck and will be looking out for Stricken on VOD and for Magic when it hits the Big Screen. 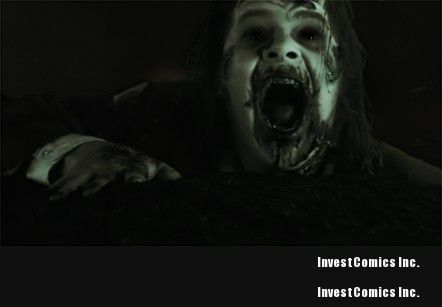 An award-winning indie comic creator and screenwriter, Bob Heske is currently writing/producing a micro-budget horror film called UNREST. Bob wrote The Night Projectionist, a vampire horror series to be published by Studio 407 with film rights optioned by Myriad Pictures Through his Heske Horror shingle, Bob self-published his critically acclaimed horror series Cold Blooded Chillers. Bob’s trade paperback Bone Chiller (a “best of” CBC anthology) won a Bronze medal in the horror category at the 2009 Independent Publisher Book Awards. His “end times” anthology 2012: Final Prayer was also released in late 2009. Email him at info@coldbloodedchillers.com. A really good interview and its certainly got me looking forward to seeing this, if its as good as he talks about it then we are in for a good one, will be keeping an eye on this. Very nice article, great job. Really interesting read, thanks. I always enjoy reading IndieCreator. Bob’s column is a great way to get introduced to new things! I wanted to “go outside the box” and interview a few filmmakers as they share the same indie spirit. I will be interviewing a few others in the weeks/months ahead. Maybe even throw in an actor or two. Next column I get back to comics: An interview with Matthew McLean about his new series “Forgotten” that just appeared in the March Diamond Previews catalog, and that is published by Studio 407. Great article! It was a good read, Very nice set up! 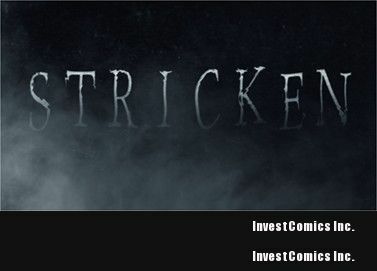 I will make sure to check out Stricken!